Thomas Hendricksz. 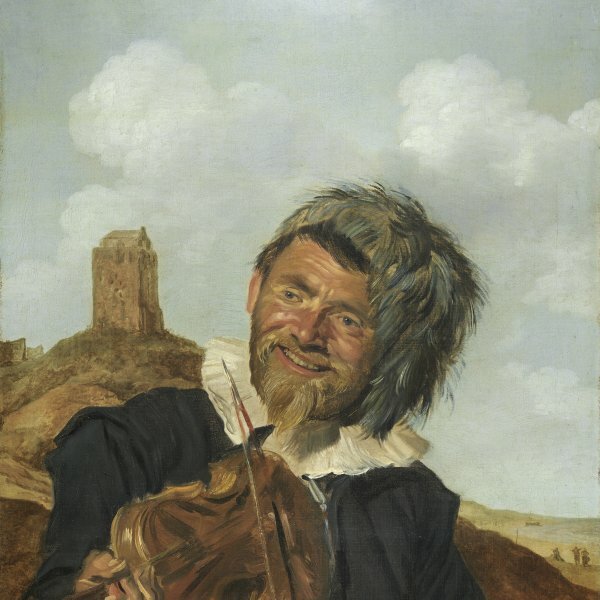 de Keyser was the most celebrated portraitist in Amsterdam prior to the arrival of Rembrandt and the creator of a new type of portrait of which the present panel can be considered a good example with regard to its subject and manner of execution. Among De Keyser’s achievements was that of adapting the full-length format to works of small size, and the use of everyday settings. Depictions of this type were well received by the new, wealthy middleclass that arose in the first half of the century. In addition to the judicious choice of subject matter, De Keyser had a fine technique, placing particular emphasis on the interplay of tonal gradations with subtle nuances. He also developed the typology of the small-format equestrian portrait, which was again well received by clients. Gaskell researched the provenance of this panel, suggesting that it was probably in the collection of Sir Bruce Hamilton in the 1920s. Auctioned at Christie’s in London in 1928, it was subsequently with the Pawsey & Payne gallery in London and the Caspari gallery in Munich. It was acquired from the latter for the Thyssen-Bornemisza collection and was included in the 1930 Munich exhibition. On the death of the Baron in 1947 it was inherited by his daughter, Baroness Adolph Bentinck, and was subsequently re-acquired for the collection through Fischer in 1962. 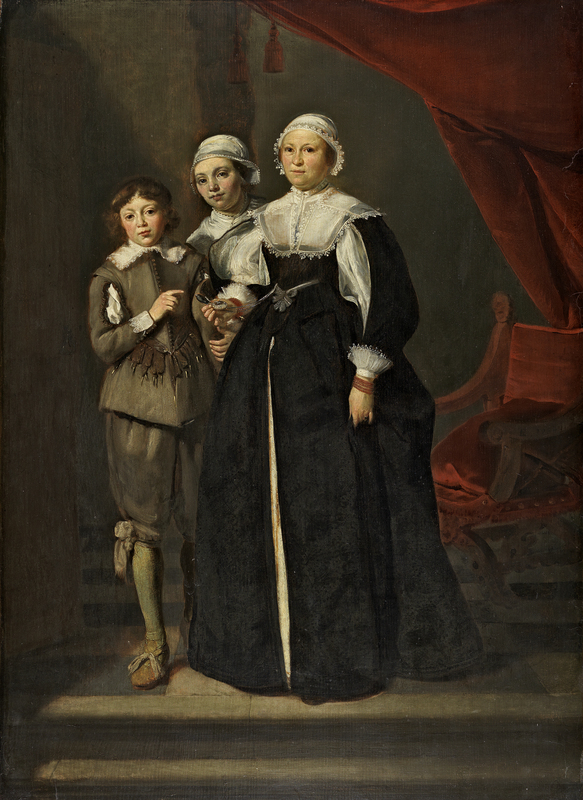 Three members of the same family are presented standing, looking out at the viewer and standing at the top of a small flight of steps that lead into the interior of a room. De Keyser locates his sitters in a plain, dark interior in which we can barely make out a door on the left and an unfinished Salomonic column behind the young girl. The notes of colour deriving from the red velvet of the large curtain and the chair. It has been suggested that the setting and the arrangement of the elements are influenced by the work of Rubens. The gesture of the figures is a notable element in the composition. The older woman holds a watch, showing it to the viewer, while the young boy looks out, pointing to the watch. The watch has been related to the passing of time and in particular to the absence of the father and husband, making the young boy the only male member of the family. This absence is also emphasised by the empty chair beside the curtain. Adams, however, interpreted the painting differently and simply considered the watch to be a family object of sentimental value.